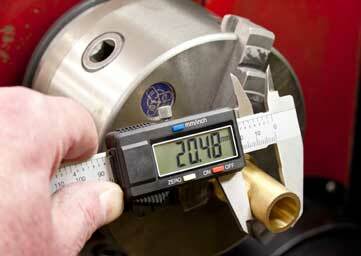 Catalogue > Measurement > Calipers > Left Hand Digital Calipers - Not just for "Lefties"
How often do you find yourself holding your caliper upside down when measuring anything on the lathe? The simple solution is to use a Left-Hand Caliper. They're not just for "Lefties" you know!